Ever have one of those odd moments when something that isn’t directed at you feels a little too pointed? I’ve written a whole article about how Bethesda is milking the Skyrim craze just a little too much, and the whole series felt like it was stagnating. So I felt a bit like Todd Howard was trying to tell me something. But regarding what Todd actually says: fine, I concede the point. 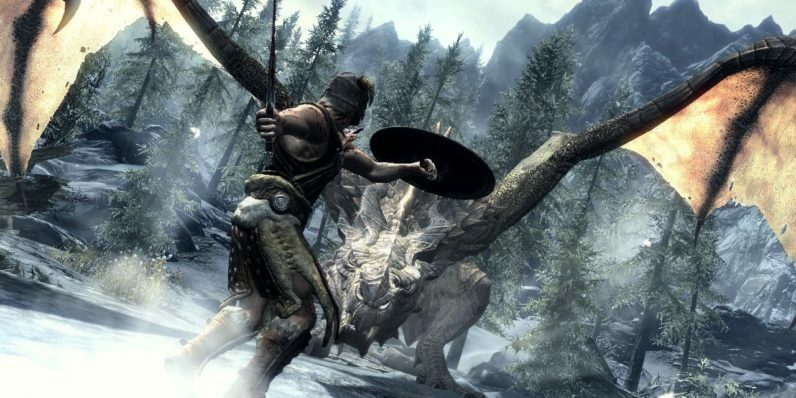 Skyrim has somehow managed to keep selling across multiple ports and remasters. And hey, businesses gotta business. I guess I shouldn’t really fault the company for trying to maximize the earnings of one product that no longer needs work. I will stand by one point, though: one of the major draws of Skyrim continues to be the modding community, which is still creating bigger and better mods to this day — essentially improving on the product and continuously making it more fun and worthwhile. Meanwhile, the Switch version of the game, the latest one to be released that doesn’t involve a voice assistant, still carries the bugs and glitches of previous versions. If you insist on re-releasing the game until the community as a whole finally gets sick of it, then at least fix the problems the game already has before you do and save the unpaid modders the trouble of doing it for you.